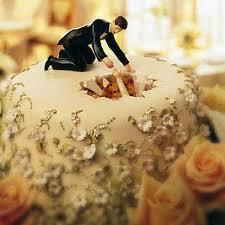 When planning a wedding, expect that something on your big day will go wrong. After all, that’s the advice everyone gave me when I was planning mine. I, however, wasn’t prepared for the fact that everything would go wrong. Instead of white lace and rice, the wedding resembled more of a scene from The Hunger Games: Catching Fire. May 31, 1997 arrived. Our wedding day and despite everyone’s continual advice to expect a hitch somewhere in the program, I was determined our day would be memorable. Our two year old ring bearer who had proudly strutted his stuff at the rehearsal was suddenly gripped with terror and refused to walk down the aisle. His father scurried up to the front and waved a twenty dollar bill which propelled the reluctant, sobbing ring bearer into a sprint. He snatched up the money and plopped down on the bench. No big deal. After all, he was two. 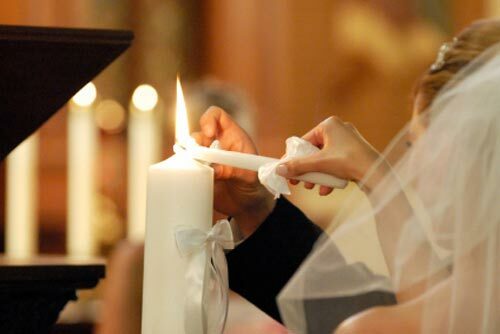 During the lighting of the unity candle, Todd gave a too-hearty puff on his own candle, snuffing out the middle one. He snickered nervously. “I just blew out Jesus!” One of the quick thinking groomsmen plucked a burning candle from the candelabra and relit the middle light. You’re probably thinking, “That’s not so bad.” Hang on. It gets worse. When I had talked to the florist, I’d specifically requested smokeless, dripless candles for the candelabras. And she got one of the candelabras right. The other, however, had been set up with smoky, drippy candles. After Todd and I lit the unity candle, the plan was for me to turn my back to the wedding party and stare lovingly into Todd’s eyes while the longest song in the history of wedding songs played. So there we were in the middle of a dark church, candlelight flickering across our faces, fingers clasped together and smiling sweetly at each other. The thumps grew louder. So did the whispers. Keep in mind that my Uncle Chuck is no petite fellow. At six foot, three inches and close to three hundred pounds, he’s a big guy. He’s also the family prankster. So when I heard intensifying stomps and gasps of shock, I figured Uncle Chuck was up to no good. Gritting my teeth, I began plotting a way to get him back. Then the acrid stench of smoke hit me. During the song, one of the smoky, drippy candles dropped a ball of flaming wax onto the carpeted floor, starting a fire right next to my maid of honor. She was wearing taffeta and nearly went up in flames herself. Good hearted Uncle Chuck scurried to the front of the church and began stomping out the inferno before my fluffy maid was burned to a crisp. There was more but I won’t bore you with the details. A trashed car. Having to turn back around when we realized we forgot to sign the marriage certificate before finally speeding towards our honeymoon in Branson, Missouri. That was the plan. Unfortunately, the transmission blew out in our car on the way. We spent our first night stranded in Clinton, Arkansas, eating cold quarter pounders from McDonalds. I began to giggle at his forlorn look just before he burst into laughter. 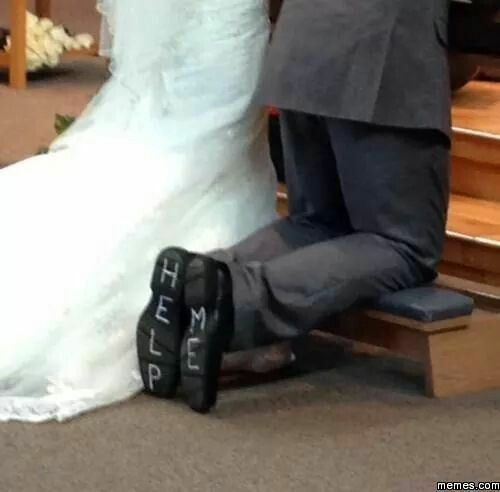 In some obscure wedding planning book somewhere in the world, our wedding story should head up the chapter entitled, “Don’t Let This Happen to You”. Okay, so maybe not everything went wrong. I got a pretty amazing hubby out of the deal. These days, instead of peppering those shiny-faced, gleeful brides and grooms with the sage advice of “expect something will go wrong”, I skip to the wisdom I wished I had received instead…find the humor. When your transmission busts on the way to the honeymoon, find the humor. When your kids decide to use your toothbrush to give the dog a dental check up, find the humor. When your circumstances look bleak and life pummels you with the unexpected, find the humor. Laughter is a wonderful gift from God. Use it. Treasure it. Our marriage is much stronger because of it. Find the humor…and make sure the florist knows what she’s doing. I’d love to hear from you. 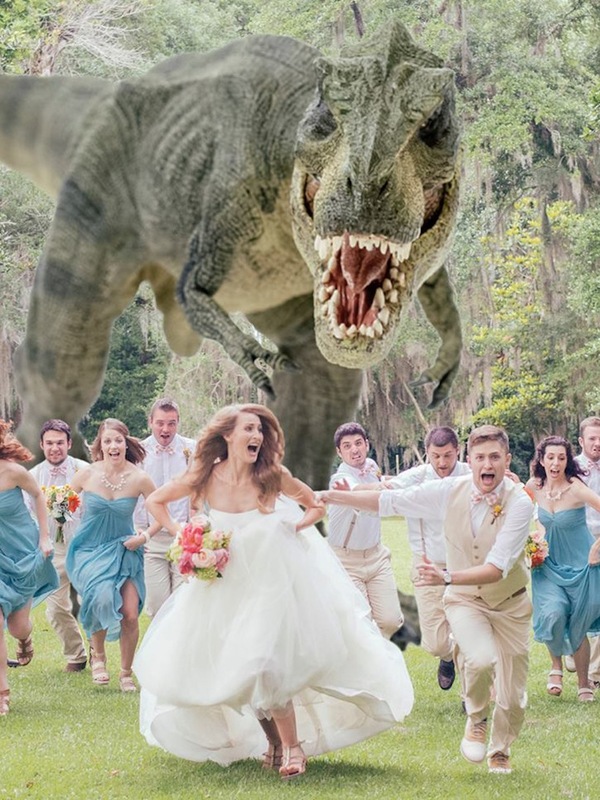 What’s the most memorable wedding you’ve ever attended? What happened that made it so unforgettable?